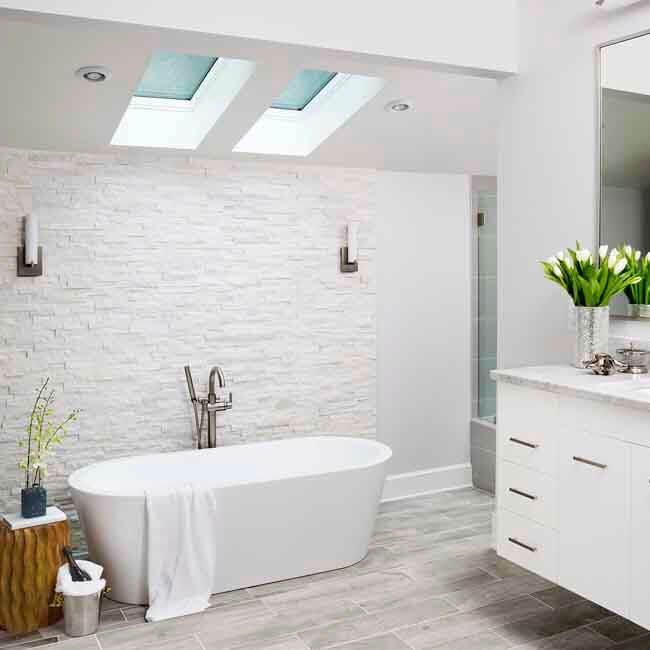 These homeowners were looking for some wow-factor for their master ensuite remodel. The design team worked closely with the clients to make sure everything on their wish-list was included. 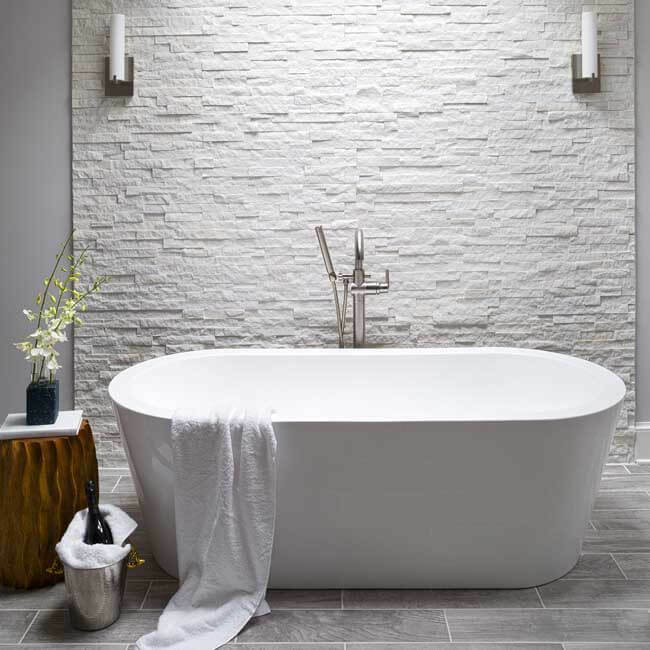 The stand alone soaker tub becomes the focal point of the room, framed by the ledge-stone veneer wall behind. Skylights add plenty of natural light to the space and the wall sconces ensure the light is soft after the sun goes down. The large walk-in shower includes a built-in bench and a full-length shelving nook with shimmering herringbone tile detail. 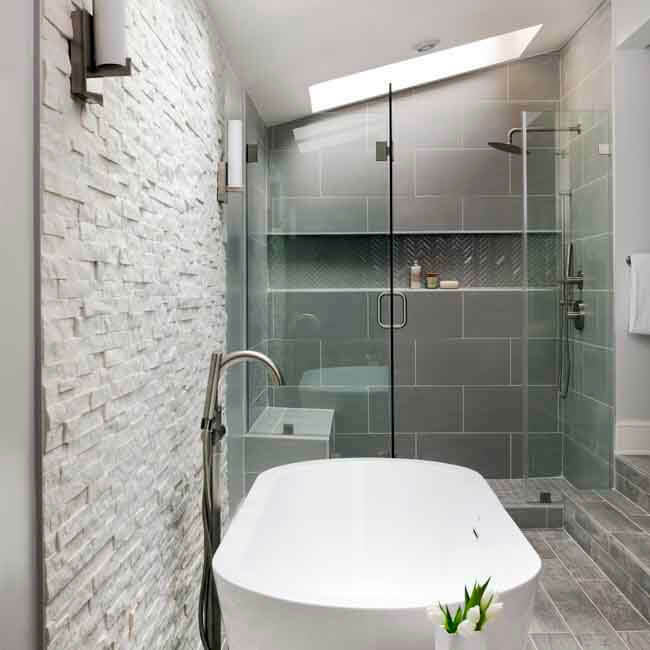 Slate colour shower tiles give the room a cool and sophisticated look while the grey weathered wood-grain tiles on the floor add warmth and texture. 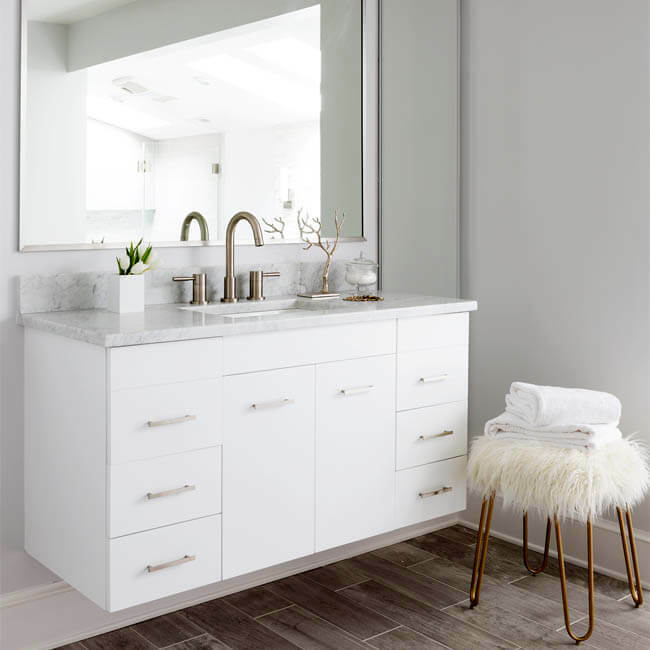 Above the marble-topped floating vanity with it’s undermount sink and brass faucet, the large mirror reflects even more light into the space. This ensuite is truly an oasis that you won’t want to leave.